As the wind picked up in the afternoon, KPMG NMMU Golf Club member Luke Jerling kept his composure to win the Humewood Silver Salver tournament by three shots on Sunday. Following his 69 in the first round, the 24-year-old Jerling shot a two-over par 74 for an overall total of 143, which was enough to give him the title ahead of Gert Trytsman (76-70) and Naldo Claasen (73-73). “The weather was pretty good in the morning and I was able to take advantage of it coming downwind on holes 15, 16 and 17. “Then it started to blow a bit in the afternoon and it was a bit tougher. The Madibaz student, who is doing a post-graduate course in financial planning, said he did not play as well in the afternoon but managed to keep his game together. 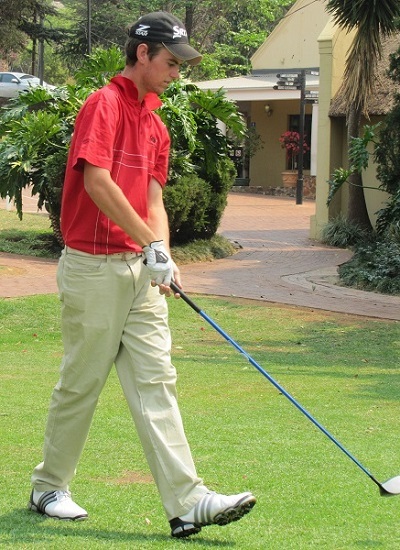 Jerling’s second victory in the Silver Salver came after he excelled in the University Sport South Africa (Ussa) tournament at Humewood in July, winning the individual title and helping Madibaz to take the team strokeplay and matchplay titles. He said that doing well in the Ussa tournament had given him confidence to tackle the course. Having spent time in the United States on a golf scholarship, he also learnt to develop a game plan. “In the past I have never really played that well at Humewood, but now I am starting to come to grips with it,” he said. “I have worked out a game plan and that is definitely one of the things playing in America taught me. “With my golf getting a bit better it’s nice when you can implement a game plan which works to your advantage. His success is providing a springboard for the former Grey High pupil to enter the professional ranks next year.